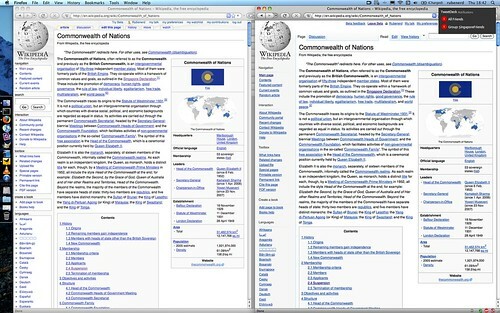 If you log into Wikipedia, there's a link in the top right corner that lets you try their new beta user interface. Don't know how long has it been there, I've never seen it before now. I think the new theme does look classier despite being slightly less efficient with screen real estate. It also introduces an interesting new per-user "book" feature which you can add articles to. UPDATE: It seems this book feature has been made available for general use in the sidebar not just for people participating in the beta.